‘Tis the season for tornado drills in Iowa, but the one scheduled for 10 o’clock this morning at the statehouse was cancelled. 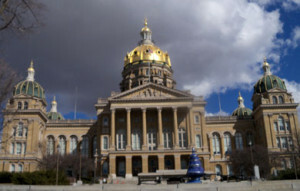 Members of the Iowa House and Senate were waiting for the signal to go to the capitol’s basement, but no signal came. Mike Marshall, the secretary of the senate, broke the news to senators. A spokesman for the Iowa Department of Administrative Services says a problem with the public address system kept the warning from being heard in the State Capitol building and the nearby Lucas State Office Building. Staff in that department are working with the installer to correct the problem. Tests of the PA system are conducted monthly. This is tornado awareness week in Iowa.